Here's a look using some of my favourite shadows. I think it goes really well with green eyes. 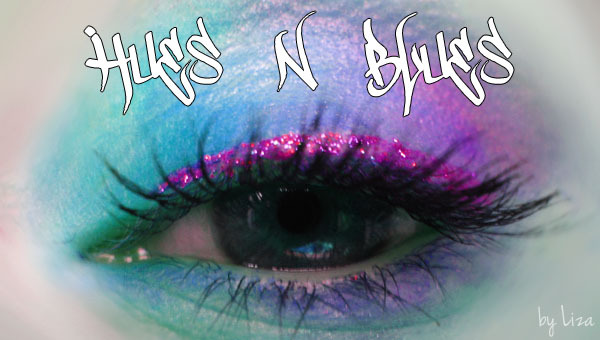 Hi Fi Cosmetics So What (shimmery pink with blue duochrome) - to blend crease upwards. On a side note, the Accessorize eyeliner is running out so fast on me! The tube seems half empty and I've only used it 3-4 times. It's like the Dazzleglass of eyeliners. :( Pretty but disappears too soon. This is really pretty for green eyes. I always get so jealous when I see those pre-packed 'eye-popping' color combos for certain eyes and green/hazel eyes always get the best colors. Blue is always so boring. You should submit this to the MakeupGeek.com look of the week challenge. It would definitely fit the theme! Oh my days... I love this so hard. I need all these shadows. Meredith Jessica: I think blue eyes look awesome with loads of colours, including orange. I've always loved dark smoky looks on blue eyes too, I don't like them on myself :) & I may just enter the challenge! Great colour combo! I love Mind Manipulator and pink eyeliner is a great idea! More Hi Fi Cosmetics Swatches!